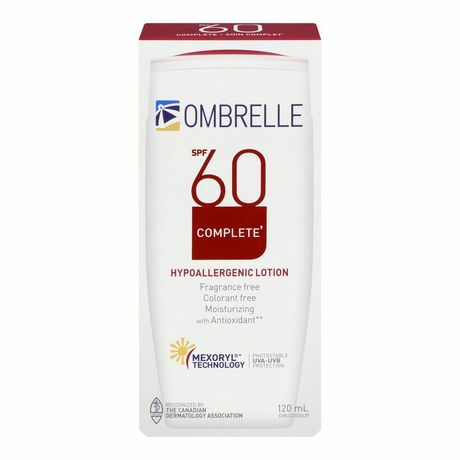 Ombrelle’s moisturizing SPF 60 sun protection can be used daily, all year-round on the body and the face. This lotion with patented filtration system provides broad spectrum photostable protection against UVA and UVB rays. All of Ombrelle’s products are hypoallergenic, fragrance free and colorant free.